AdvantEdge Group provides training in proposal development and capture management. We present practical methodologies based on extensive industry experience, best practices, and lessons learned. 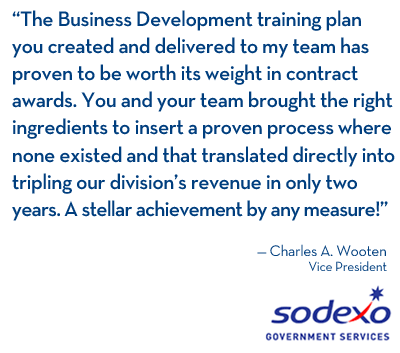 Our training is client-centric and flexible and integrates the client’s existing processes that work into the total solution.